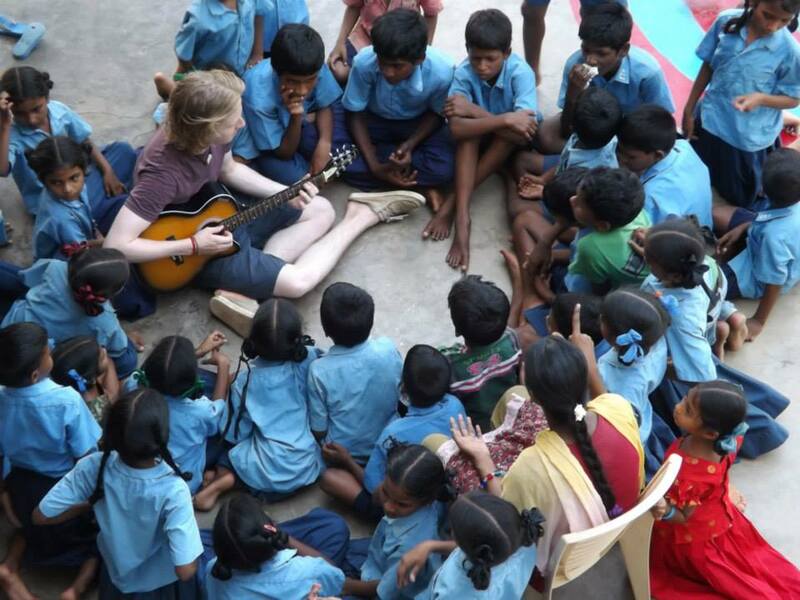 If you are a teacher, medic or simply love children, then why not come to India with us for a life changing experience and a trip you'll never forget. Each year we take teams of volunteers out to India to serve and live in our largest orphanage in Gannavaram – a remote Dalit village that is far away from the tourist areas normally visited by Westerners. Here you will experience the life of the Dalit people and the very real contrast of the rural poor that make up 80 per cent of India’s population. Volunteers will have the opportunity to teach English, take part in building projects, organise kids work and generally be a blessing to children who have very little. During your time in Ganavarram you will also take the children to the seaside and the fishing village of Machilipatnam on the Bay of Bengal to meet and encourage the fishing people there and our newly opened school in a Dalit community. Each team also starts their trip in Mumbai before taking the incredible cross country train all the way to Gannavaram. We will visit the Dharavi slum, Indias' largest, where we make the candle pots that support our charitable work in India. Here we will get chance to meet with our Dalit potters and see where they work as well as spend a day sightseeing and shopping around Mumbai. If you are a teacher or medic and feel called to India we have plenty of long term opportunities now open in a number of our projects and we’d love to hear from you. Please contact us to discuss dates if you are interested in visiting our projects. Experience life in the real India far away from the tourist hotspots. Help those less fortunate by teaching English, organising games and crafts and help out with building projects. Take the children on a day trip to the beach. Experience life in one of the worlds craziest and biggest cities that is Mumbai.